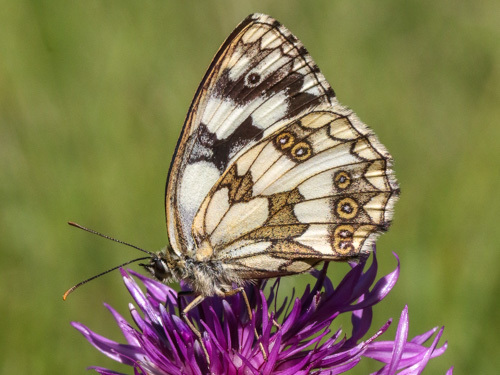 A widespread and often very common species in grasslands across most of Europe and north Africa. 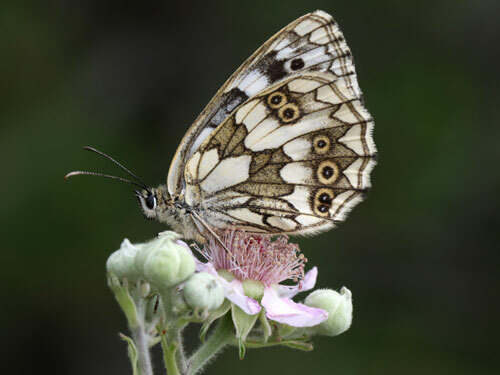 Replaced in most parts of Spain by the Iberian marbled white M. lachesis. 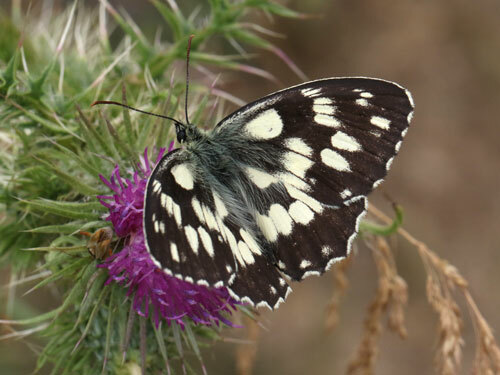 Identification & Similar species: The forewing cell lacks a black cross bar which separates it from all other similar species except the Iberian marbled white, M. lachesis. 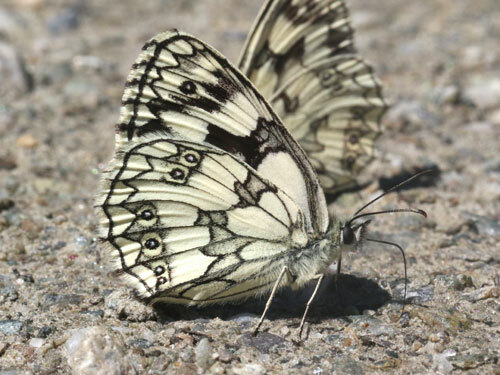 In that species the cell is white right to the base and not shaded as in the current species. 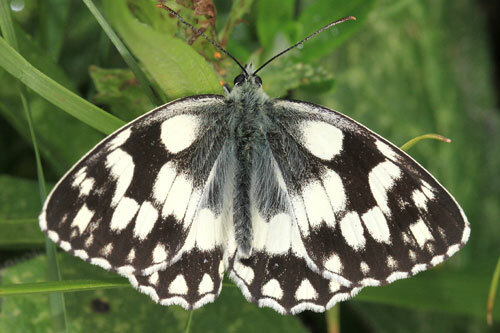 Also the hindwing cell is surrounded in white, not the broad black markings found in the current species. 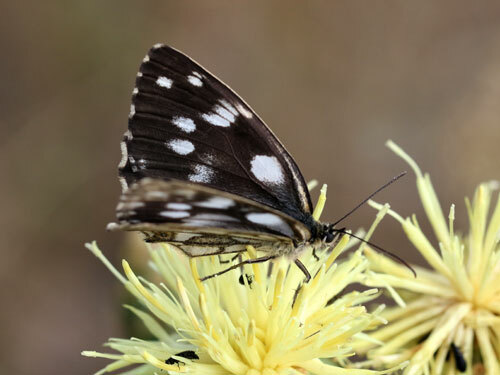 Distribution & Flight: Flies across Europe from southern England to north Africa and eastwards to Italy, Greece and Poland. 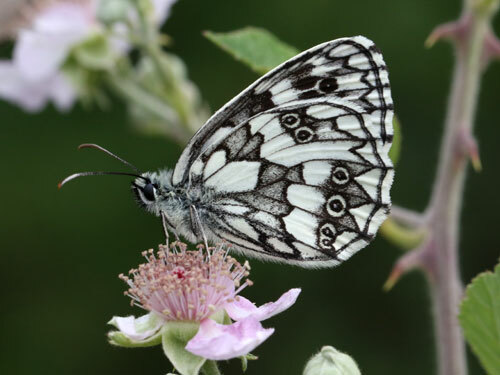 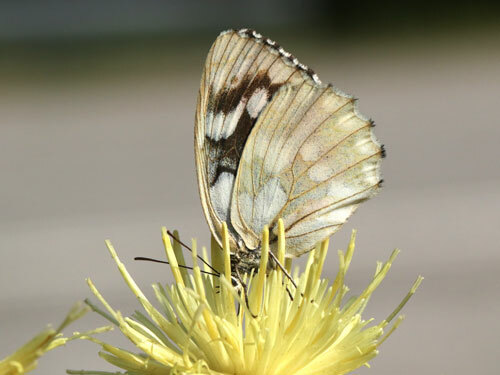 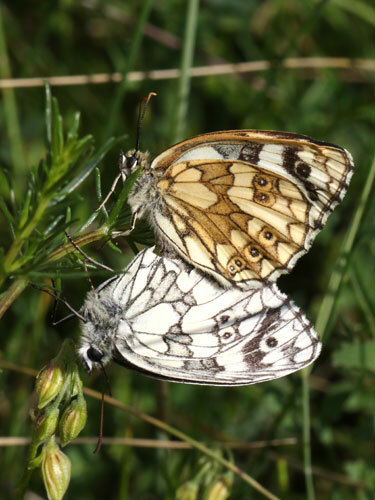 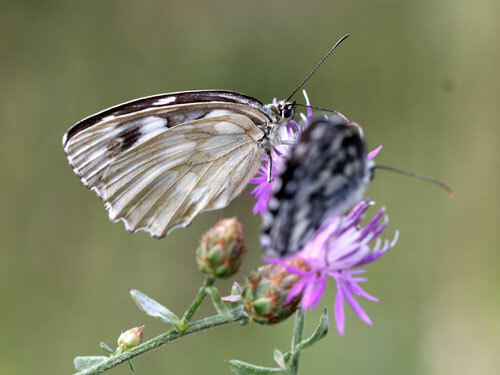 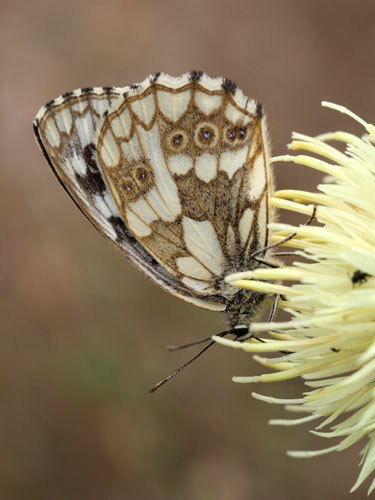 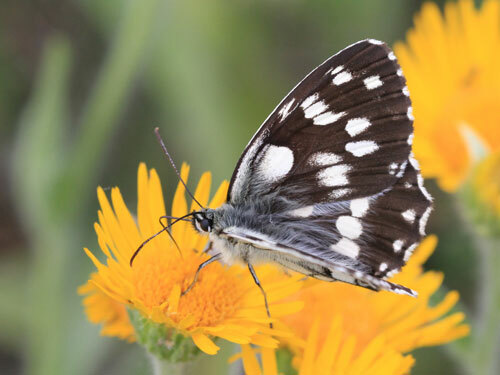 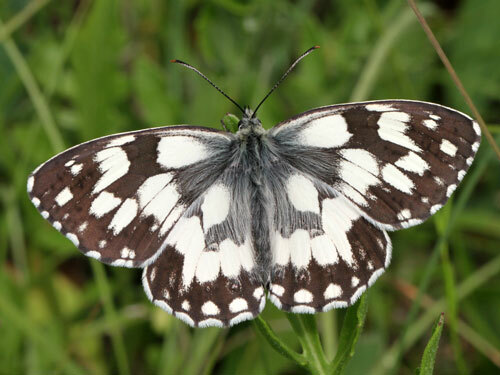 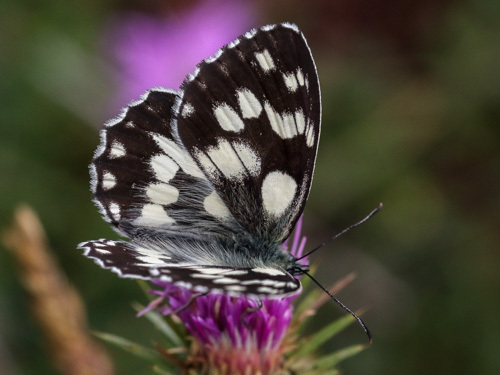 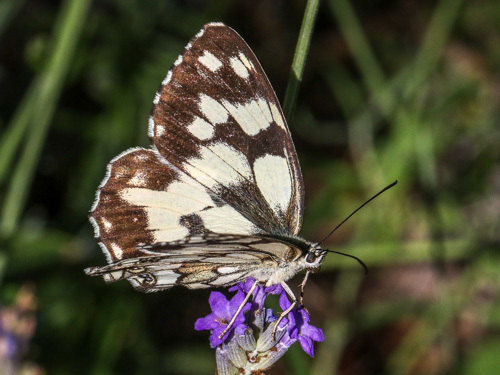 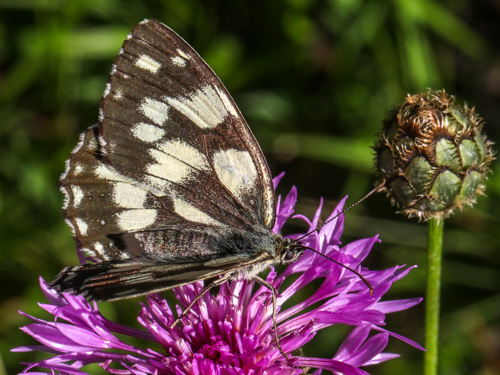 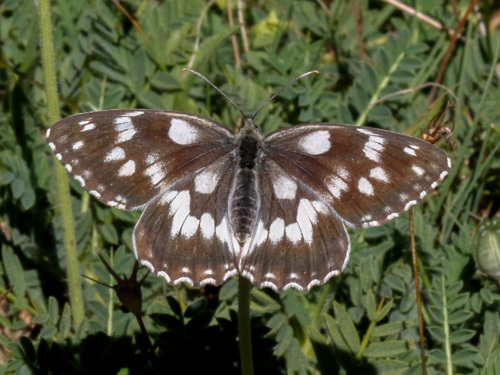 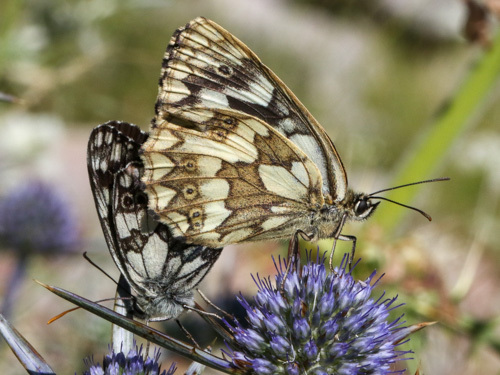 In Spain it is only found in the vicinity of the Pyrenees and the Basque country where there is an overlap with the Iberian marbled white M. lachesis. 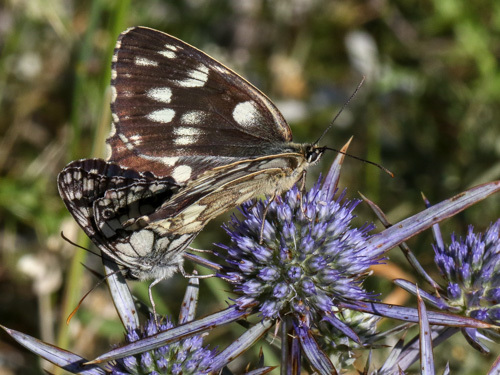 Habitat & Behaviour: Flowery grasslands, usually dry on calcareous soils. 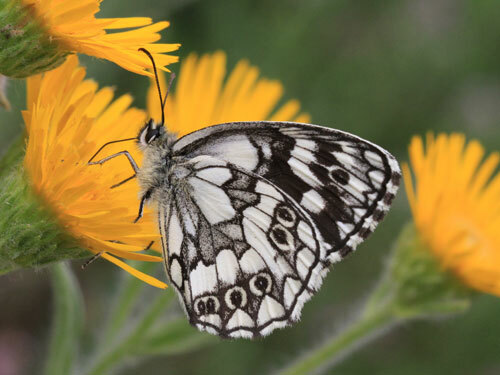 They love to take nectar from purple knapweeds and thistles. 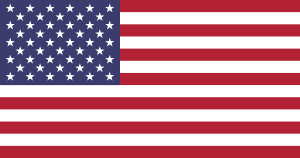 Variation: Very variable. 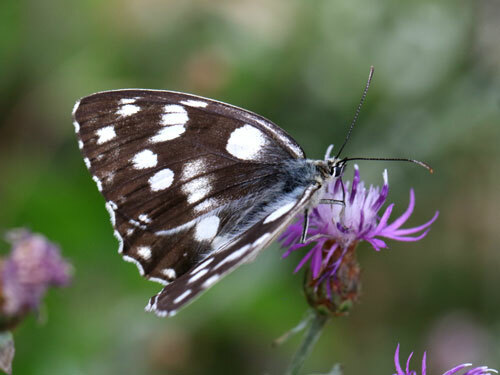 Of particular note is a very black form magdalenae found in one or two valleys of north Italy.